The college scarf has long been a mod classic for the colder months, so it’s no surprise to see a company synonymous with the mod scene getting involved in that area. 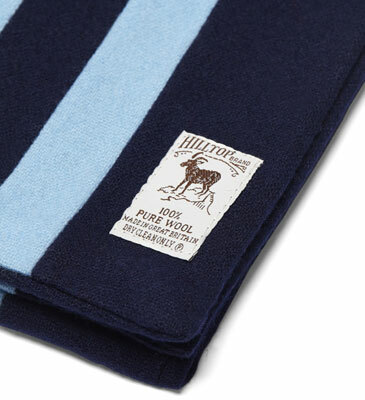 Or in other words, here’s the Fred Perry x Hilltop college scarves. Fred Perry has teamed up with Hilltop, a company founded in 1817 and still making good in the UK a couple of centuries on. 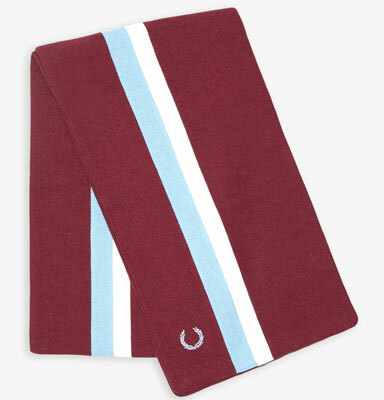 In this case, a classic college scarf, this being made of wool (they often aren’t) and in two colour combinations, both with the added Fred Perry logo. £45 is the price, with the scarves available from the Fred Perry website.